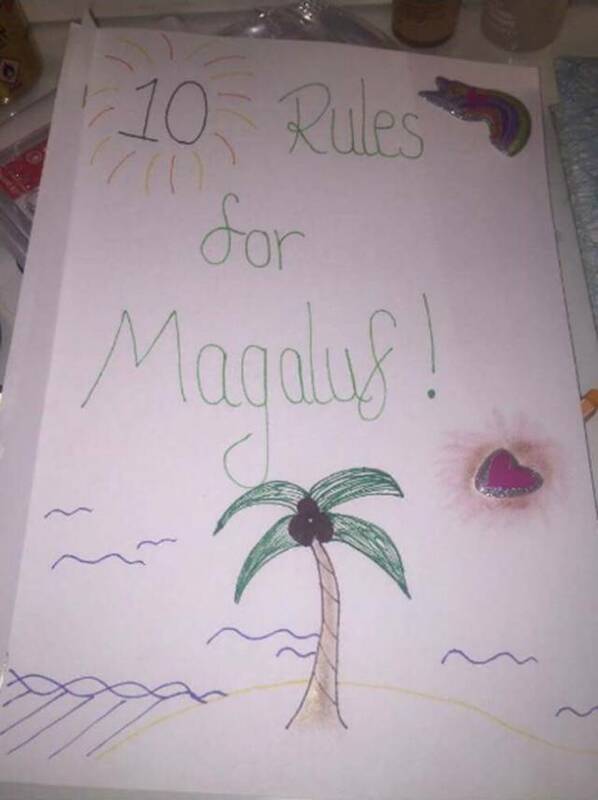 Whitney Travers, from Edinburgh created a rulebook for her boyfriend Kieran Lumsden before he went on a trip with his friends to Magaluf, Spain. 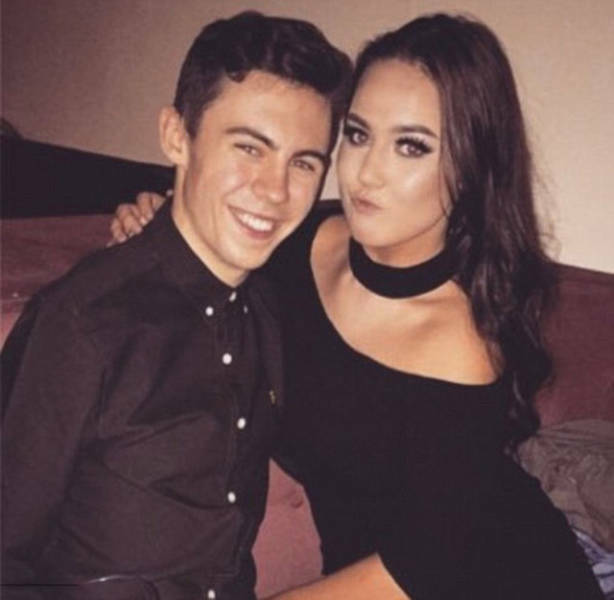 Kieran shared it on Twitter and it get a lot of attention. 3. 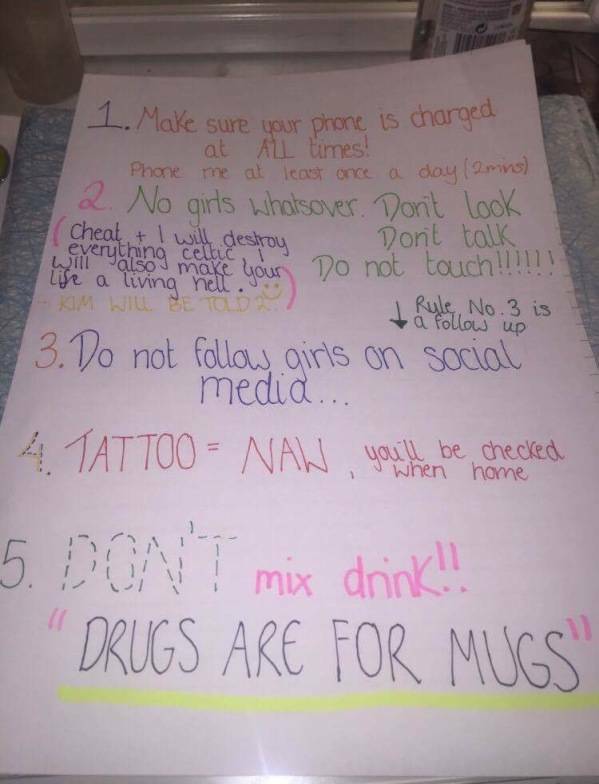 Do not follow girls on social media. 9. Text Kim every day! She'll be worrying. 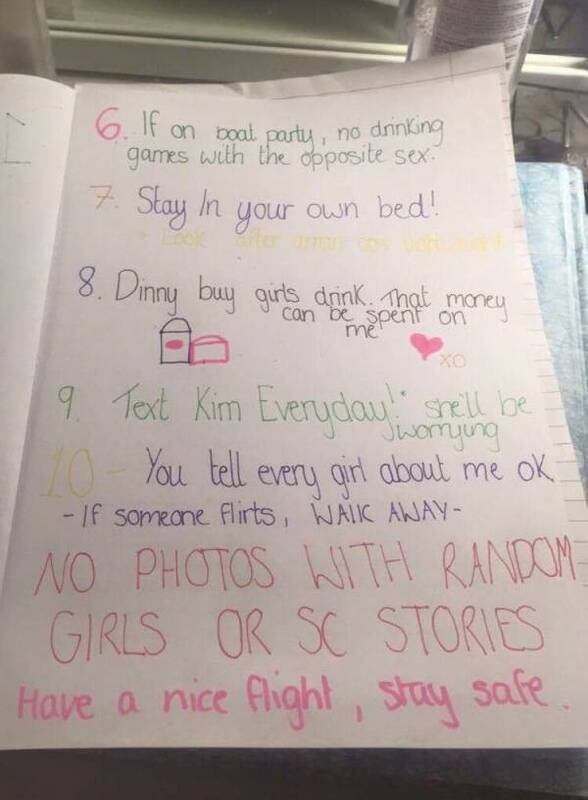 0 responses to "Girl Makes A Hilarious 10 Rule List For Her Boyfriend Who Ahead Of His Boys’ Trip (4 pics) "